It may be surprising that a real estate agent would watch HGTV as buyers shop for homes and designers bring new life to outdated homes, but I admit to being caught up in some of their programs when I am recharging. My husband refers to it as “a busman’s holiday”, which I assume means that the bus driver continues that service with his family as this continues my following real estate in my free time. I have discovered that I am not the only Realtor to check in on the re-dos and search for exotic properties. I suppose once real estate is in your blood, it takes up residence with no intent of leaving. My attention was recently caught by an HGTV series wherein they are asking the audience to vote on their favorite home with a history. Nearby Beaufort has a contender that might be of interest to you. 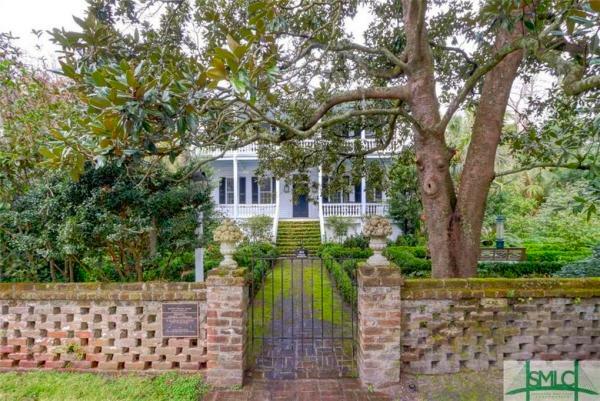 It is the Robert Smalls home at 511 Prince Street and it is currently listed for $1,499,000. Robert Smalls was a former slave who became a Civil War hero and later a congressman. Records indicate that he was likely born on the property in 1839 to his mother, Lydia Polite who was owned by John McKee, the owner of the home at that time. In his teens, his master sent Robert to Charleston to hire out as a laborer. Of course, his earnings belonged to McKee. Perhaps, sealing his future unknowingly, he loved the sea and found work at the docks and wharves as a rigger, sail maker and eventually a wheelman. As a slave, he could do the job but was never given the title. He was a trusted servant aboard the CSS Planter. The ship’s white senior crew frequently went ashore for the night when they were docked in Charleston. Small’s escape began to formulate aboard the ship and he shared his thoughts with other crew members he could trust. On May 12, 1862, he dressed in the captain’s uniform, wore a straw hat that was like the captain’s, commandeered the Planter and sailed past the Southern Wharf unnoticed. He stopped again to pick up remaining family members of the crew, as well as his own, and successfully sailed past five Confederate harbor checkpoints. Knowing the proper signals and using the captain’s guide to the map of mines and torpedoes laid in Charleston harbor, he made a successful voyage to the Union Navy fleet. He used a sheet for a white flag, surrendered the ship to the USS Onward. The story might have ended differently if it were not for a crewman who noticed the white flag just prior to the crew beginning fire on the Confederate ship. Small’s knowledge of the waterways and military configurations proved highly valuable to the Union and he soon became a hero in Northern newspapers. He and his crew were awarded prize money for the capture of the ship, of which Small received $1500. In today’s money, that would be about $38,000. As an aside, he was later paid an additional $3,500 in 1900. It was determined by Congress that the basis of the valuation was absurdly low. As a freed slave, he helped convince Abraham Lincoln that the Union Army and Navy should accept African-American soldiers. All in all, with time he served in both the Navy and the Army, he participated in 17 major battles and engagements in the Civil War. After the war, he returned to South Carolina and became a Republican representative to the state legislature. Later in the Reconstruction Era he was elected to the United States House of Representatives. While he had many successes after the war, Beaufort history is enhanced by Small’s purchase of his master’s house. McKee tried to get it back through the court system unsuccessfully. Small’s mother, Lydia lived in the home for the remainder of her life. Remarkably, Smalls invited his former owner’s wife, Jane Bond McKee, to reside in the home for her last days. If you made it through this small archive of history, I think you should be ready to cast your vote for the best “Home with History” and I hope I have convinced you to vote for this special Beaufort home. Architecturally beautiful and with an amazing history, it would be the perfect winner!